THE 'Mighty Clutha' forms the heart of one of the world’s most unique waterways. 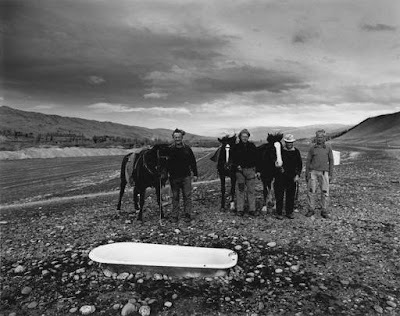 It traverses the dramatic semi-desert landscape of Central Otago, in the South Island of New Zealand, but the most spectacular river gorges, and much more, have been destroyed ... by dams. 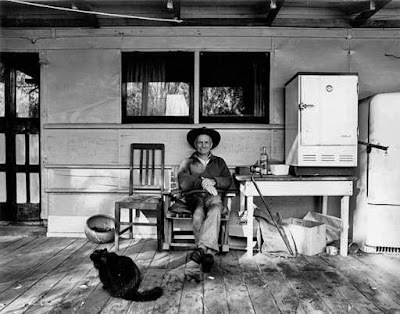 This is the unofficial story of the Clutha Mata-Au River and its stolen treasures. It is a story steeped in bitterness, shame, destruction, and sadness. 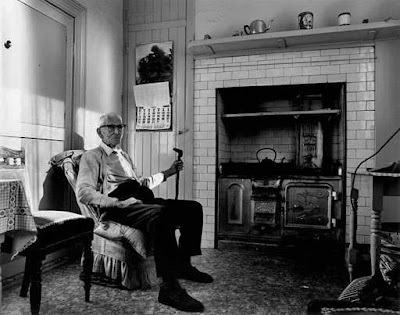 Harry Perriam, orchardist, Lowburn. 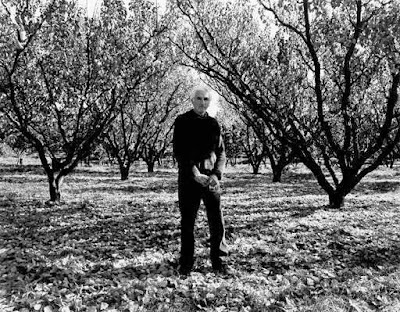 His apricot and apple trees were uprooted before his land was flooded. Isie Scott, Cromwell. 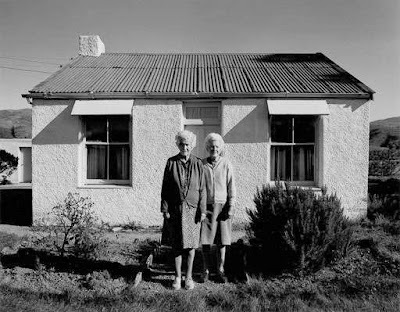 'I feel our heritage, the land, is being wasted.' She was forced to leave her home on the banks of the Clutha. Charlie Perriam, Lowburn. 'One hundred years of family lost.' The most fertile areas of his land were flooded. Keith Lake, Northburn. His winter feed land, near the Clutha, was drowned. Doug Stout, Presbyterian Minister, Cromwell and Lowburn. The Lowburn Valley was flooded. The church was moved to higher ground. Rabbiters, Pest Destruction Board, Cromwell. The valley behind them was re-shaped and flooded. - 1973. 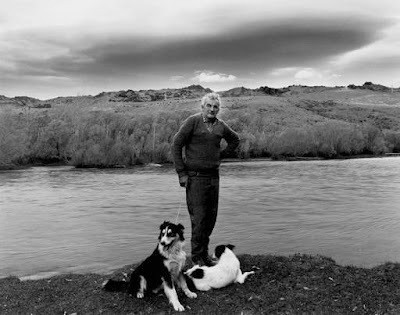 The Clutha Valley Development Commission was set up to evaluate potential sites, and after drilling test tunnels in the Cromwell Gorge, advised against interfering with known landslide areas which were pronounced highly unstable. - 1976. 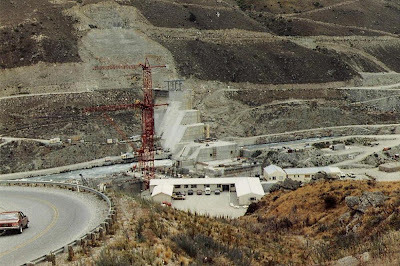 The Clutha Valley Advisory Committee, set up by the National Government, advised against the high dam (Scheme F), preferring the low dam option (Scheme H) which would not flood Cromwell, Lowburn, the Cromwell Gorge Highway, and cause landslide issues. - 1976. The site for the high dam was chosen by politicians, not geologists. - 1977 April. Ministry of Works' bulldozers moved onto the site and began work, before a Water Right had been obtained and before an environmental impact report. - 1977 late. The Government applied for a Water Right, and was granted one for the low dam (Scheme H), because the low dam would be less affected by known landslide issues. 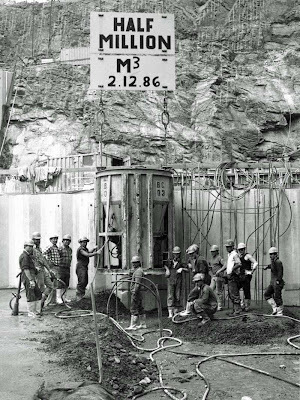 However, work continued on the high dam (Scheme F). - 1979 November. Construction work began on the right abutment above the level of the low dam, without a legal Water Right for a high dam. - 1980. 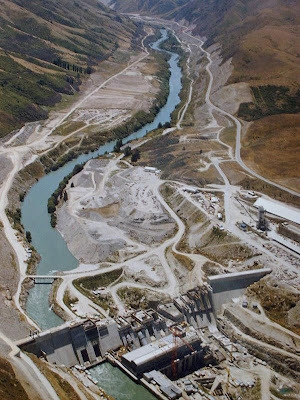 National Government M.P.,Warren Cooper, a strong Clyde high dam and ‘think big’ proponent, announced that NZ would need six or seven dams the size of the Clyde dam by 1995, contrary to evidence of a looming over supply. - 1981 July. 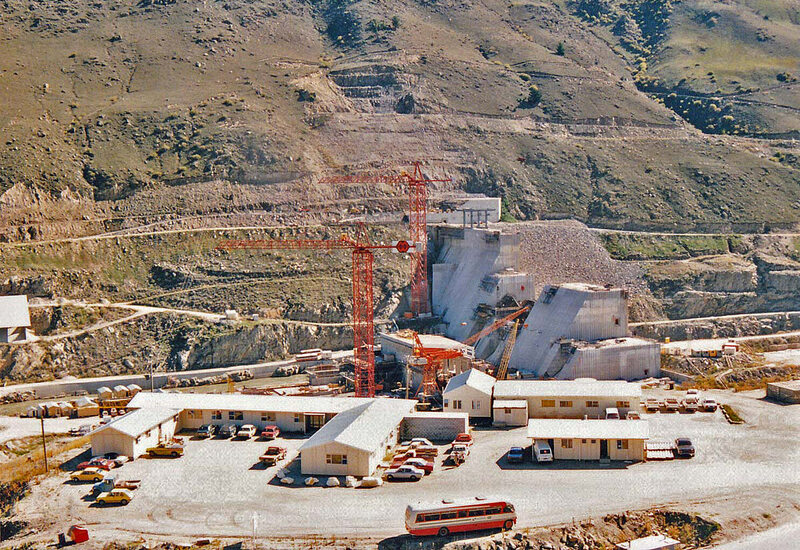 The Government approved the construction of the high dam despite still not having a legal Water Right, and previous warnings regarding gorge instability. - 1981. It was realized that there was an over production of electricity and that the dam, especially Scheme F, was not required. Construction continued mainly to keep the work force employed. - 1981 December. The Government put the Clyde dam project out to tender. Seven tenders were received. The Ministry of Works originally tendered at $156.4 million, later revising this to $117.3 million. - 1982, April. 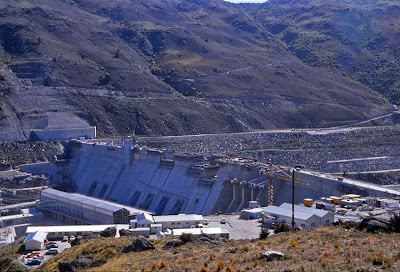 The Clyde Dam construction contract was awarded to a joint venture of W Williamson & Co of Christchurch and Ed Zublin AG of Stuttgart, West Germany. The winning bid was $102.6 million. Zublins were partnered with Williams Construction of Christchurch as ‘window dressing’ (2.5% of the partnership). The so-called joint venture was plagued with industrial disputes throughout the contract. 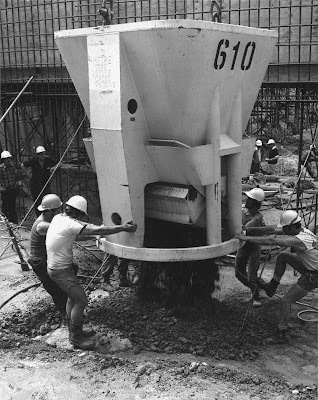 Their workers also suffered more accidents than workers employed by other contractors on the project. - 1982. Workers discovered a faultline directly under the dam and spillways. (The River Channel Fault branching from the main Cairnmuir-Dunstan Fault crossing the gorge 3kms above the dam.) 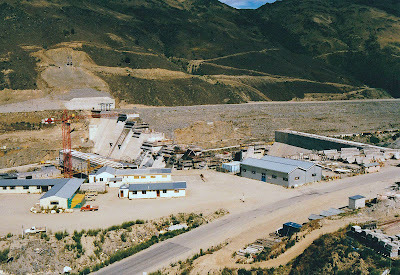 Vast amounts of slurry concrete were pumped into tunnels across the fault called “shear pins” to supposedly lock the fault, even though the fault was 12-15kms deep and such “dental concrete” would be instantly broken in a large earthquake. - 1982. 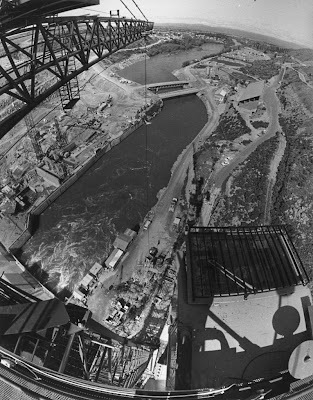 The dam was re-designed with a controversial “slip-joint,” supposedly allowing 2 metres of lateral movement, and 1 metre of vertical movement. Geological evidence showed much greater movements had occured and are possible, up to 9 metres laterally! 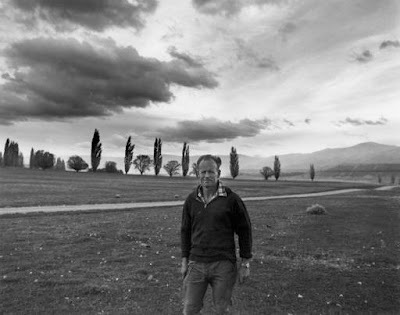 Even more alarming, one of New Zealand's leading geotechnical scientists, Gerald Lensen, warned that the River Channel Fault was a secondary "tensional fault" (expanding), and therefore the "slip-joint" was NOT designed correctly. Despite compelling evidence supporting Lensen, he was ignored. He resigned in protest and the issue was covered up. - 1982. The Government obtained a Water Right through the National Water and Soil Conservation Authority, whose chairman, Bill Young, was also a member of the Government and minister in charge of the project. - 1982. Landowners appealled to the High Court, citing bias and that the Government did not have a legal Water Right for the Clyde dam, and they won their case. - 1982. 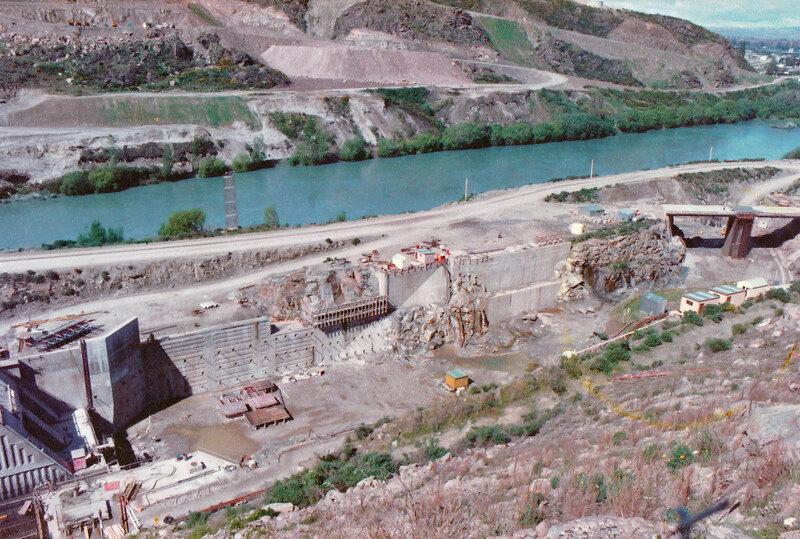 The National Government, under Prime Minister Robert Muldoon, enacted the Clutha Development (Clyde Dam) Empowering Act 1982, controversially over-throwing the High Court decision and a subsequent Planning Tribunal decision against the Government (Annan v National Water and Soil Conservation Authority and Minister of Energy, Gilmore v National Water and Soil Conservation Authority and Minister of Energy), suspending the legal/lawful rights of the individual enshrined in Westminster law, and shocking New Zealanders. - 1986. Artesian water was discovered in what was previously considered to be dry landslides in the Cromwell Gorge, signalling serious issues with reservoir safety. - 1986-7. Construction peaked with around 1000 workers on site. - 1987. New Zealand Electricity Department (NZED) becomes Electricity Corporation of New Zealand (ECNZ / ElectroCorp) - a state-owned enterprise. - 1987. WorksCorp sold the ‘dam’ to ElectroCorp (ECNZ). - 1989. April. An intense investigation began into landslide issues, involving up to 40 geologists, revealing large numbers of highly permeable loess underlying large areas of broken rock slides, throughout the gorge. - 1989. It was realized that the 1982 re-design had omitted one of the two sluice gates. A work-around was designed costing $2 million, reducing the dams generating capacity by nearly a third from 612 MW to 432 MW. - 1989. ElectroCorp (ECNZ) admitted that they might have to ‘mothball’ the dam because it was fast becoming cost ineffective. - 1990 March. Serious gorge stabilisation issues were admitted, and it was announced that the project could not be commissioned without another $337 million being spent on landslide mitigation to reduce, but not remove the risks. - 1990 May. Warren Cooper M.P. denounced recommendations from an international review team of geologists, claiming they were creating “the biggest man-made work scheme on record.” Critics noted that he had been one of the project's leading proponents. - 1992. Commissioned 1992 (began producing some power). - 1994, 23 April. Officially opened. - 1996. 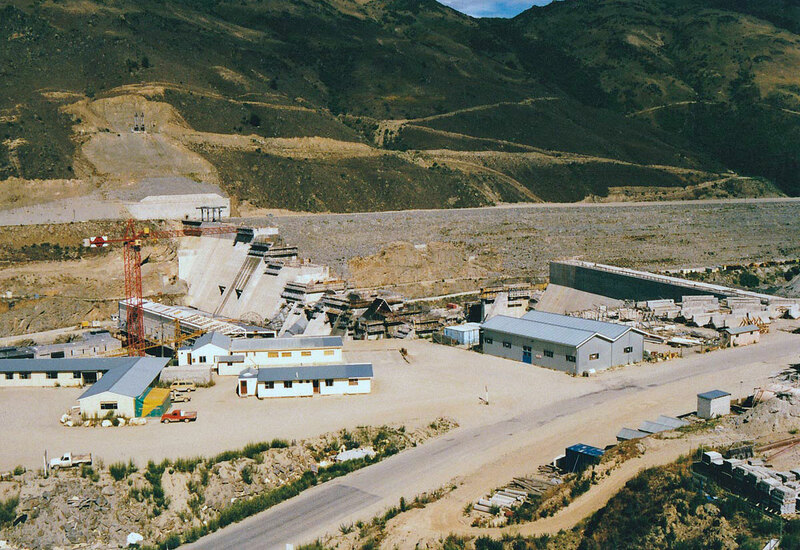 ElectroCorp (ECNZ) was split into two state-owned enterprises - ECNZ and Contact Energy, the latter controlling the Clyde and Roxburgh dams. - 1999. Contact Energy was privatized, with 40% purchased by Edison Mission Energy (EME) which subsequently increased its shareholding to 51%. - 2004. EME onsold its majority shareholding to Origin Energy of Australia, which thereby obtained a controlling interest in one of NZ's largest and most expensive infrastructure assets, originally paid for by NZ taxpayers. - 2009, May 2. Clyde high dam: “The single most monstrous environmental sin over the last 30 years.” - Michael Cullen, Radio NZ, speaking of his biggest regrets after retiring from the Labour Party. 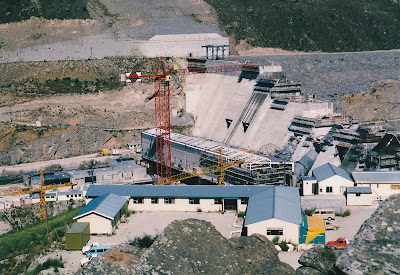 Labour inherited the dam fiasco from the Muldoon government in a snap election in July 1984, called by Muldoon after he had lost the confidence of parliament and New Zealanders. Unfortunately, Labour persevered with the ever-more problematic Clyde dam, and after National became the government in 1990, the 'monstrous environmental sin' was completed. 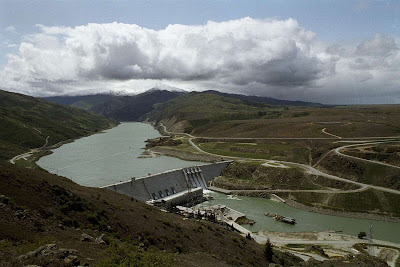 - Reservoir Storage Capacity: Described as "Not much"
Operation: The reservoir does not have much storage capacity, so the Clyde dam operates mainly on a ‘run of the river’ basis, with the average flow past the dam reflecting the natural flow of the Clutha and Kawarau Rivers. The expected variation of the reservoir is about 50cms. 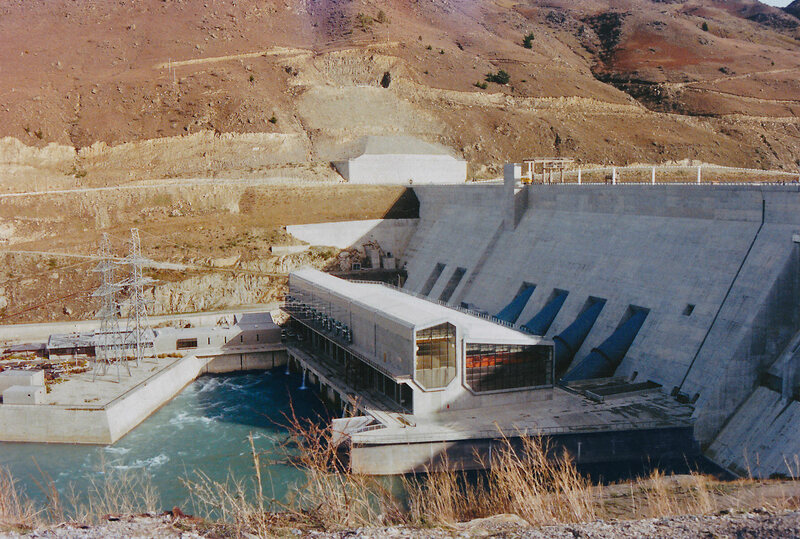 When inflows are low, storage at Lake Hawea is drawn down to compensate. 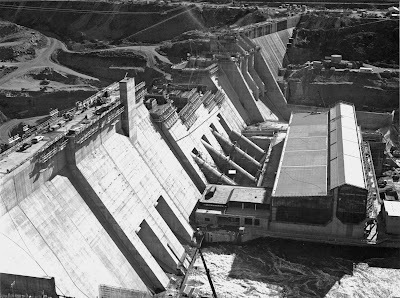 The high dam option (Scheme F) was built supposedly to maximise generation and cost-efficiency. But the low dam option (Scheme H) could also have operated on a ‘run of the river’ basis with only 2% less output, avoiding the loss of old Cromwell, Lowburn, and a massive cost overrun. 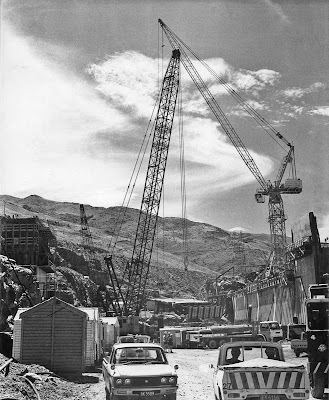 The low dam (Scheme H) would also have incurred fewer landslide issues, retaining 16kms of the original 21 km highway through the Cromwell Gorge. 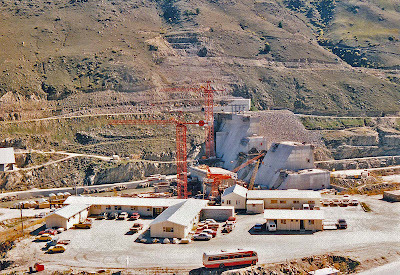 However, both options were inherently flawed, and were not defensible when measured against the geo-technical risks, landslide mitigation costs, long-term reservoir sedimentation issues and costs - including eventual decommissioning, loss of ecosystem integrity, and heritage and human costs. Maori explorers, Ngai Tahu and Kai Tahu ki Otago, followed the Mata-Au inland, through a wild and untouched land, hundreds of years before Abel Tasman sighted New Zealand. Their seasonal explorations yielded prized argillite stone, fibres from flax, from the fronds of the cabbage tree and from the leaves of the Celmisia mountain daisy. They also came for foods such as Moa, eel, duck and pigeon. In time, they established campsites and seasonal inland settlements. 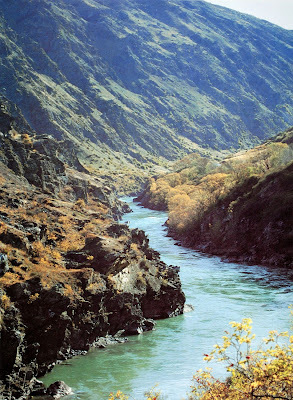 Nathaniel Chalmers, a young twenty-three old in search of good sheep country, was the first European to ascend the river in 1853. He was guided by two old Maoris, Chief Reko and Kaikoura, paying them in advance with a three-legged iron pot. The old Maoris were veterans of the river route, such that when Nathaniel Chalmers fell ill, they simply constructed a mokihi, or koradi (flax flower-stalk) raft, and guided him down the river, fearlessly running major rapids in the Cromwell and Roxburgh Gorges. Perched above 'the meeting of the waters' grew the 1860's gold-rush town of Cromwell, overlooking the spectacular Cromwell Gap Rapid. When the gold workings declined, farming and fruit-growing became the town's mainstay. 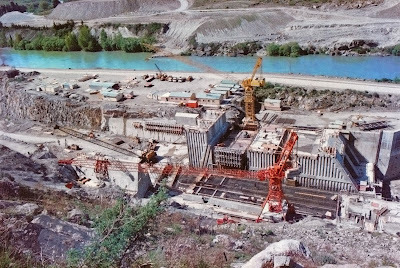 Little changed until the 1980's, when the then National government's 'Think Big' agenda brought massive upheaval as plans for New Zealand's largest concrete gravity dam moved ahead, despite widespread protest. 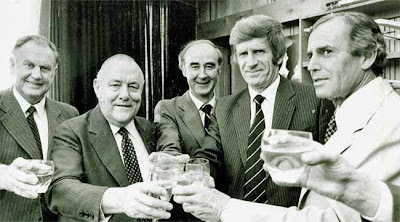 The exploitation of the Clutha for maximum power at any cost, was driven by departmental and political ambitions that would prove too insidious to be checked, even by the courts. The inexorable weight of the NZED (New Zealand Electricity Department) and the MOW (Ministry of Works), coupled with a secret deal made by naive government ministers providing COMALCO (Rio Tinto) with cheap electricity, set the agenda and fuelled the official lust for power. Threatened landowners went to the High Court, winning their case against the Government. 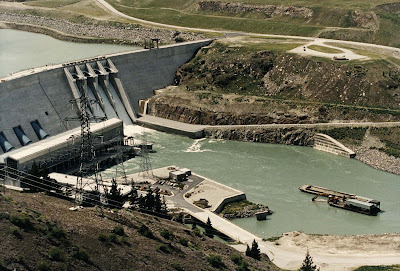 But the democratic provisions of the New Zealand legal system were over-ruled by the Government, lead by Prime Minister Robert Muldoon, and the dam went ahead, in what can only be described as one of the most shameful chapters in the history of New Zealand. During construction of the dam, the bed-rock was found to be microfractured because of a major earthquake faultline. Vast amounts of slurry concrete were pumped into the rock to stop water leaks. 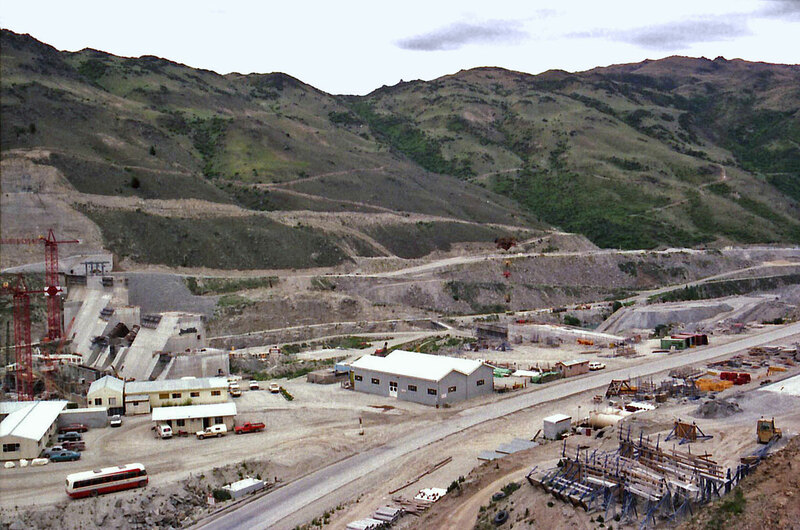 Subsequent landslide stabilization problems halted the project while experts debated safety issues. 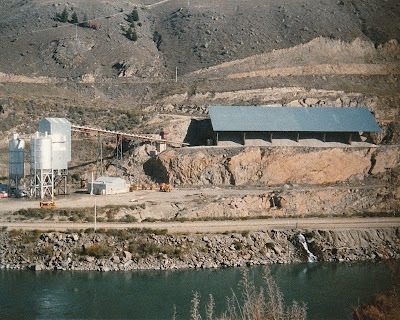 Eventually, the Government decided to proceed, and 18kms of drainage tunnels, with 24-hour pumping and monitoring stations, were embedded in the 'slide zones' of the gorge. 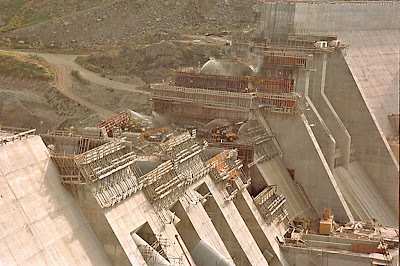 A massive cost blow-out brought the total cost to nearly $2 billion, amidst continuing controversy over the dam's safety, viability and necessity. 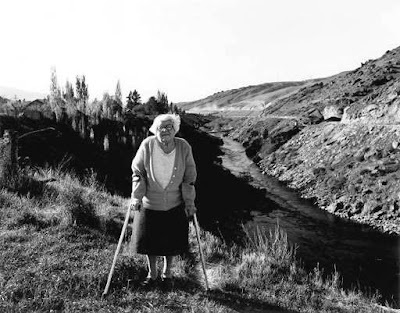 In 1992, the rushing waters of the Cromwell Gorge were silenced as the reservoir behind the Clyde Dam began rising. Filled in three stages between 1992-93, the reservoir gradually flooded the spectacular Cromwell Gorge, the historic heart of Cromwell, many orchards and homes, the settlement of Lowburn and the surrounding fertile farmland - a total of 2300 hectares of the best orchard and farmland in Central Otago. The lifespan of the dam is estimated to be 80 years, but opponents doubt that it will survive that long, given the ongoing instability of the Cromwell Gorge, the risks posed by earthquakes and landslides, and the speed of reservoir sedimentation. 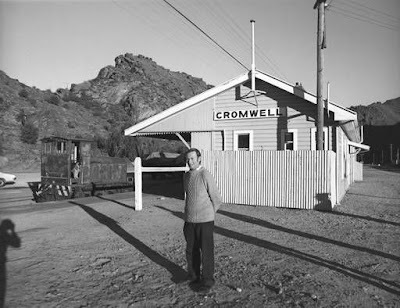 Cromwell before the Clyde dam was set to become a tourism icon. 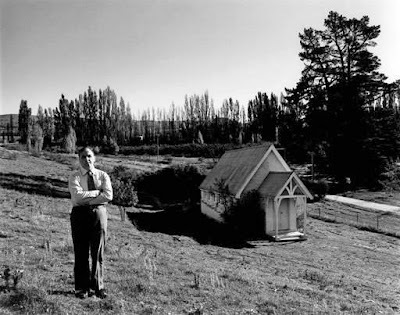 Blessed with a dramatic location, numerous historic buildings and a spectacular bridge overlooking the famous Cromwell Gap, its potential was obvious, until ... "think big." The Roxburgh Gorge, too, with its many amazing rapids ~ the largest whitewater in New Zealand, had vast tourism potential, offering Alexandra and Roxburgh a booming industry focused on high volume whitewater kayaking, rafting and dory adventures unlike anything else in New Zealand. 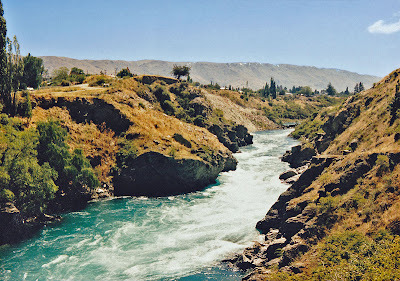 The Clutha Mata-Au, before the Roxburgh and Clyde dams, possessed many natural treasures in the form of extraordinary river features and rapids. 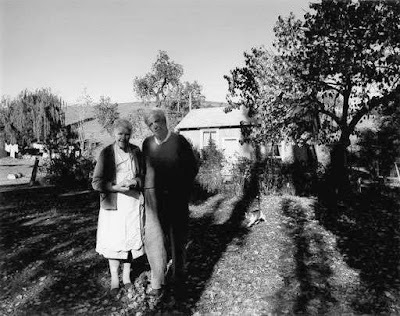 This website tells the story of those stolen treasures, and records the bitter fight of ordinary New Zealanders pitted against arrogant government technocrats and politicians who considered the Clutha River ripe for exploitation at any cost. 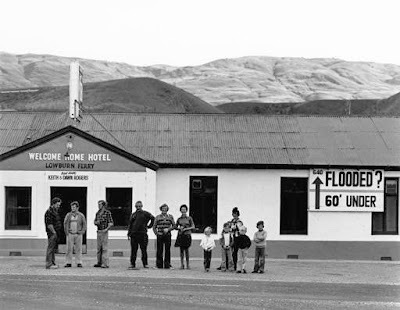 Finally, the rising waters behind the Clyde dam submerged the historic main street of old Cromwell, the Cromwell Gorge including the famous Cromwell Junction, the Lower Kawarau Gorge including Sargood's Rapid (rated the best whitewater rapid in the world), the Cromwell Gap Rapid, the Lowburn area, and numerous orchards and homes. A total of 2300 hectares of productive land disappeared. 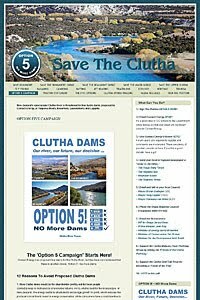 This website is a tribute to the Mighty Clutha, and to the many dedicated people who have fought, over decades, to protect its natural treasures.